Summer is a time for adventures. Whether you’re taking a small drive to the park nearby, or road tripping for a long camping excursion, warm weather is the time to get out and play. Dog lovers everywhere enjoy taking their canine companions on these trips. But if you’re bringing your dog along for the ride, it’s important to take certain precautions when driving with your pup. 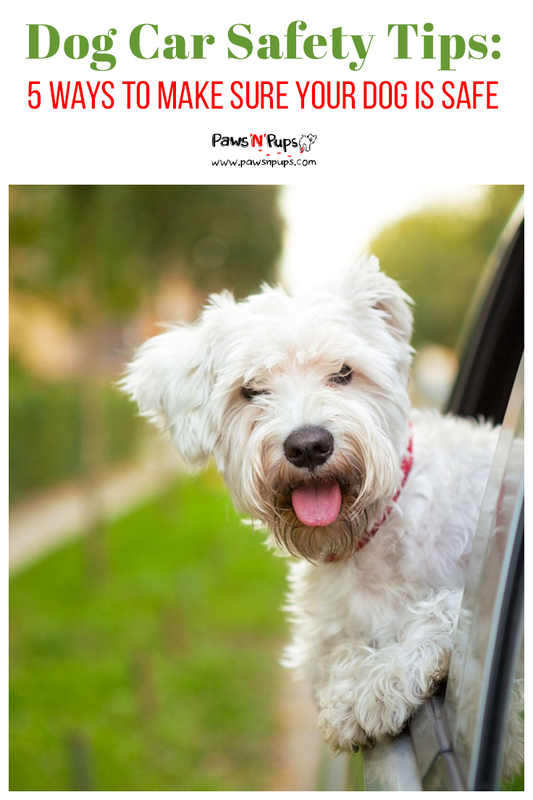 Read on for our five car safety tips that will keep your dog happy the whole way there. We start this list with perhaps one of the most controversial pieces of advice: use a dog-friendly seatbelt or crate. Why is it controversial? Well, to put it bluntly, most of the evidence used to “prove” the reliability of many vehicle safety products for dogs is bogus. There are a lot of products on the market today that claim they have been tested thoroughly and meet safety standards for your pet. The unfortunate truth is that most of these claims are inaccurate. The thorough regulations for human safety products, unfortunately, do not apply to pet safety products. Therefore the pet vehicle safety products do not have to follow the same strict protocol for testing. The Center for Pet Safety is an organization that takes the time to test these products thoroughly and rates them based on their effectiveness in a car crash. Any product that is approved by the CPS is deemed just as effective for a pet as a seatbelt is for a human. It is highly recommended that one of these safe products be used when transporting your dog in a vehicle. It’s quite common to see a dog happily hanging their head out of a window, catching the wind in their face and sun on their fur. But the Humane Society of the United States advises against this. 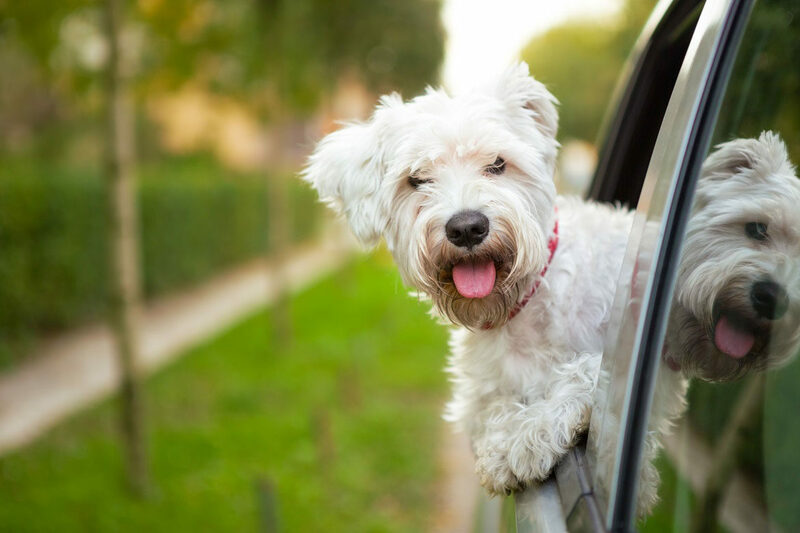 Branches, mailboxes, debris, or any other loose objects can potentially harm a dog whose head is hanging out the window. 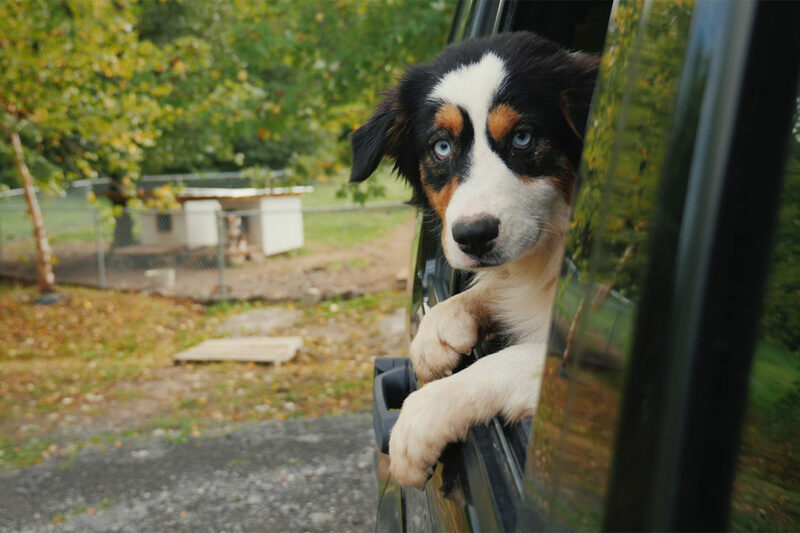 Something can get into a dog’s eye, nose, or mouth causing serious injury.be transported in the back of a pickup truck. Traveling this way is a danger due to flying debris, but it also increases the risk of a dog being hurtled out of the vehicle in an accident. Even something as simple as slamming on the brakes could cause a dog to be thrown from the back of the vehicle. It’s also a good idea to disable any power windows in your car. A dog could accidentally open the window with the simple press of a paw. Not only could a dog harm themselves sticking their head out the window, but an over-excited dog may even jump from the car. It’s best to keep the windows closed and keep power windows in lock mode. A dog should always be seated in the back seat of a car or a hatchback style trunk space. If a dog is seated in the front seat, there is a chance the airbag could be deployed and harm the dog. Airbags are designed with adult human safety in mind, not dog safety. Dogs are safest in a crash-tested crate or harness in the back. Dogs also should not be roaming around the car. If your dog is in a safe crate or harness, this will not happen. But if your dog is not using a harness or crate in a vehicle, be sure to encourage your dog to calmly sit or lie down. Constant movement from your dog is distracting and could cause the driver to pay less attention to the road, potentially leading to an accident. The Humane Society recommends always having at least two people in a car when traveling with a dog. This way, one person can devote all their attention to calming a dog if they are agitated and restless. When taking a short drive with your dog, there isn’t much planning that needs to be done. Simply get your dog settled into their safety device and be on your way. But for longer car trips, some planning ahead is required. It’s important on long trips to first and foremost ensure your dog is ready for extended time in the car. 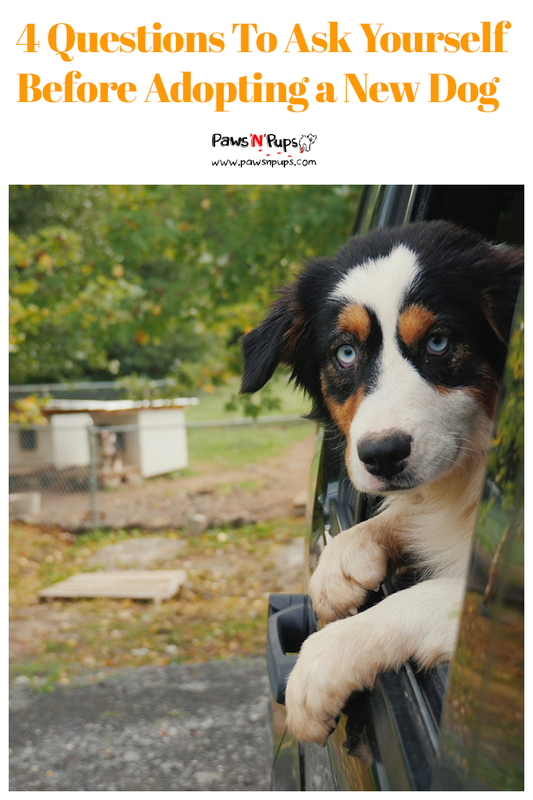 If your dog is relatively unfamiliar with car rides, the ASPCA recommends taking your dog on a few; short practice drives to familiarize them with the vehicle. This will make the long trip easier for both of you. Once you are both ready for traveling, it’s important to schedule a few breaks in the driving. Inevitably, your dog will need a bathroom break and will be grateful for the opportunity to stretch their legs. Most rest stops on the highway have designated dog areas where you can walk your dog and allow them to relieve themselves. These roadside breaks are a great time to give your dog some water and maybe some treats or a meal if the time is right. Come prepared! Bring bottles of fresh water and a small bowl for your dog to drink out of. And don’t forget the leash and some poop bags! Leash rules and clean up rules are the same at roadside rest stops. Be respectful of the area by cleaning up, and keep your dog safe by keeping them on a leash. Dog owners are reminded of this often, but the truth remains: never leave your dog in a parked car on a hot day. This rule applies to both short and long trips, and applies even if you are “just stepping out for a minute.”The trouble is, a parked car on a hot day can heat up very quickly. And that heat poses a real danger to dogs. The Humane Society states that on a 72-degree day the interior of a car can reach a temperature of up to 116 degrees Fahrenheit within an hour. And on an 85-degree day? The interior of a car can reach temperatures over 100 degrees Fahrenheit in less than 10 minutes – even with the windows slightly open! As the temperature increases, the dog inside the vehicle could be suffering from irreversible organ damage, which could even lead to death. Thieves are another consideration when leaving your dog alone in a car. It may be tempting for someone who thinks they can resell a dog to break into a vehicle and take the dog before the owner returns. This problem is not just a summer issue and should be taken seriously year round. All these factors should be taken into consideration when driving with your dog. The car is meant to be a safe and comfortable place for both you and your canine. So plan ahead, and you both can sit back and enjoy the journey! The Fourth of July is the summer holiday, so many Americans look forward to. It’s a time for cookouts, camping, swimming, and of course, fireworks! But it can be a time when our furry, canine friends could get neglected. With so many new experiences, new foods, and new smells, it’s important to keep in mind the safety of your dog during the festivities. 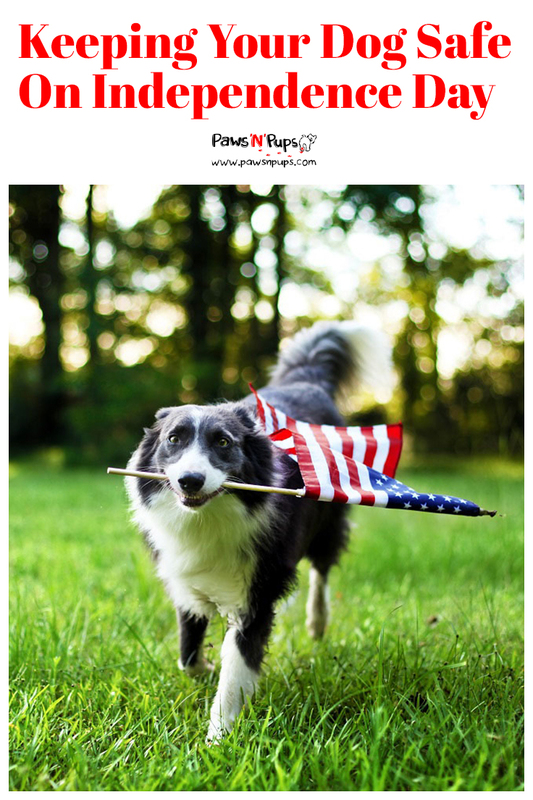 Here are four tips for a happy 4th of July with your pup! This is perhaps the number one thing dog owners worry about on Independence Day. The loud noise of fireworks can greatly upset dogs and cause them a lot of stress. This includes both fireworks in your backyard and large, public fireworks displays. If you plan to set off fireworks in your yard, always leave your pet indoors. The ASPCA cautions that even unlit fireworks should be kept away from pets. While lit fireworks can cause burns and other injuries to dogs, unlit fireworks may contain chemicals that can be toxic to dogs and other pets if ingested. Store them high up and out of reach of your pets. When setting the fireworks off, your dog should stay in the house. The Humane Society recommends turning on the tv or the radio to cover up the loud and potentially frightening noises for your dog. You can also try giving your dog a fun treat to keep them busy during the fireworks. It is likely that a dog will not do well at public fireworks display either. Besides the noise of the fireworks being frightening, the crowds could cause anxiety and stress for your dog. The American Veterinary Medical Association warns that some dogs may even run away when frightened by fireworks. It is best to leave your dog at home, safely in a crate with a treat to keep them busy and soft music playing to distract from the sound of fireworks. Sometimes these methods don’t always work. Veterinarians can prescribe medications that will relax and even mildly sedate your dog so that neither of you experiences stress. Sometimes drugs such as Prozac are prescribed. The New York Times recently reported on a new drug called Sileo, a newly FDA approved amedication that works as a mild sedative. The drug is administered via a syringe, takes effect within 30 minutes, and typically lasts a couple of hours. Though most vets recommend desensitizing your dog to loud noises as a permanent cure, this new drug could be a wonderful temporary solution. Cook outs and barbeques are a time for humans to relax and enjoy each other’s company. So it can be easy to forget to keep your dog comfortable during the festivities. The biggest temptation for your dog at a barbeque will be the food. 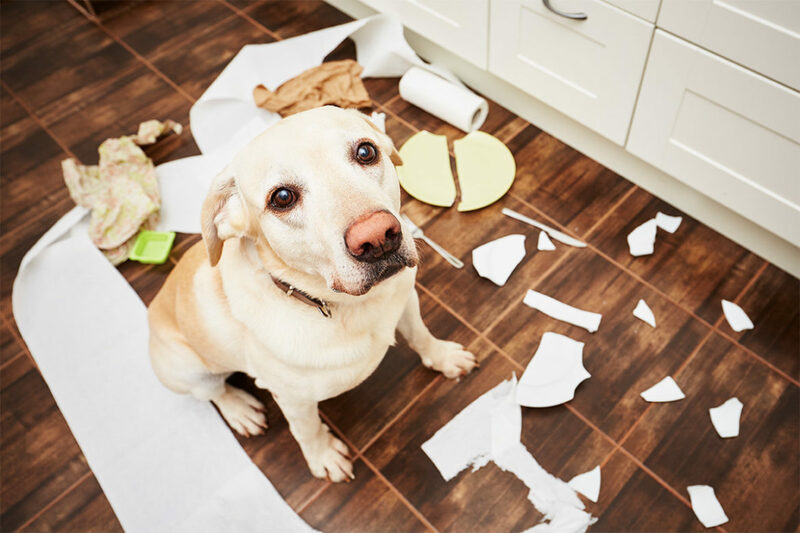 If your dog has an uncontrollable habit of stealing table scraps, consider keeping the dog on a leash and with you at all times. On the other hand, most dogs will try begging for food from the guests. Feeding your dog human food should be discouraged. 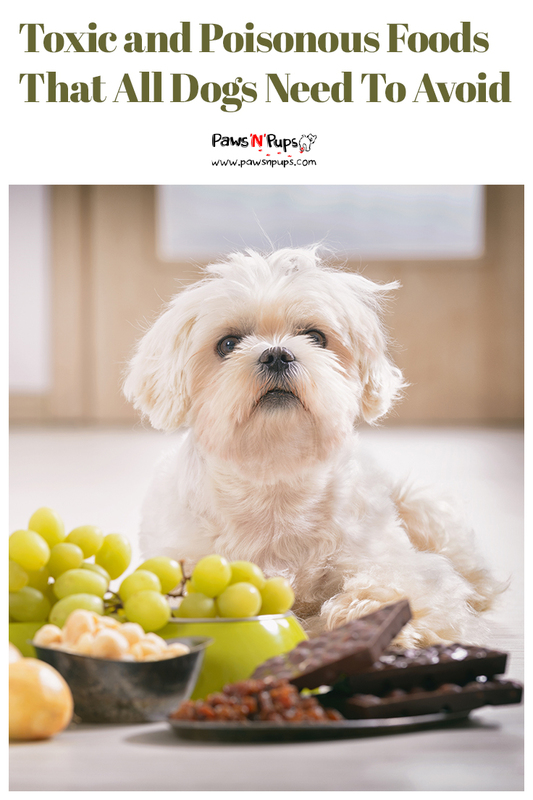 Sudden changes in diet can upset your dog’s digestion and cause vomiting or diarrhea. A few foods at barbeques can be toxic to dogs. 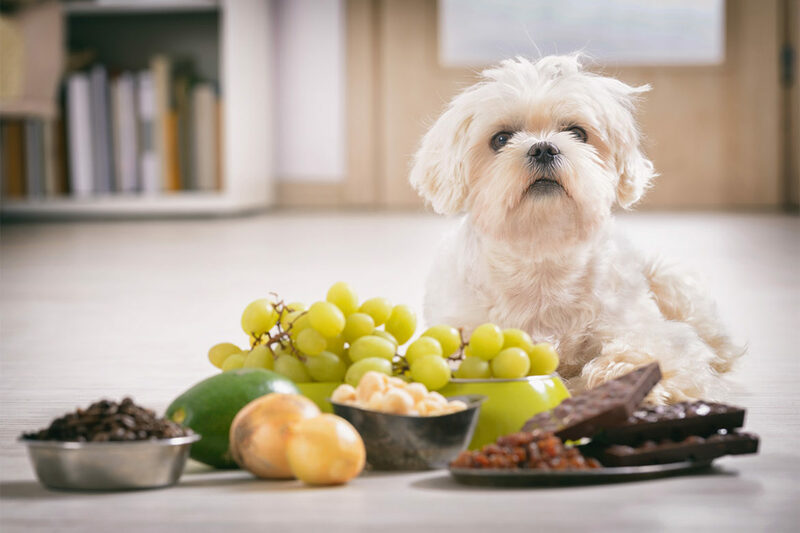 The AKC advises staying away from onions, avocados, grapes, and raisins. The ASPCA also has a handy guide listing all the human foods to avoid feeding your pet. As an alternative, keep some dog treats handy! Many guests will want to spoil your dog, so keep some canine-friendly options on hand. This way your pup can take part in the food festivities with you. Another big concern when celebrating the Fourth with dogs is the sun and heat. Always keep a bowl of fresh water handy for your dog and refill it as necessary. Show your dog where it is so they can help themselves. The AVMA also suggests providing a shady spot for your pup to relax in throughout the day. If you have no natural shade from buildings or trees, consider setting up a tented area for your dog and the guests. Without a shaded area, your dog may crawl under the food table to cool down. This could create a mess if your dog bumps the table! And if your pup seems especially overheated, bring them inside to an air-conditioned space or a room with a fan. The Fourth of July means new sounds, new foods, and also new summer products. The AKC reminds dog owners that many toys or products humans use during warm weather have the potential to be harmful to dogs. One thing a dog owner should never do is use human sunscreen or human bug spray on a dog. 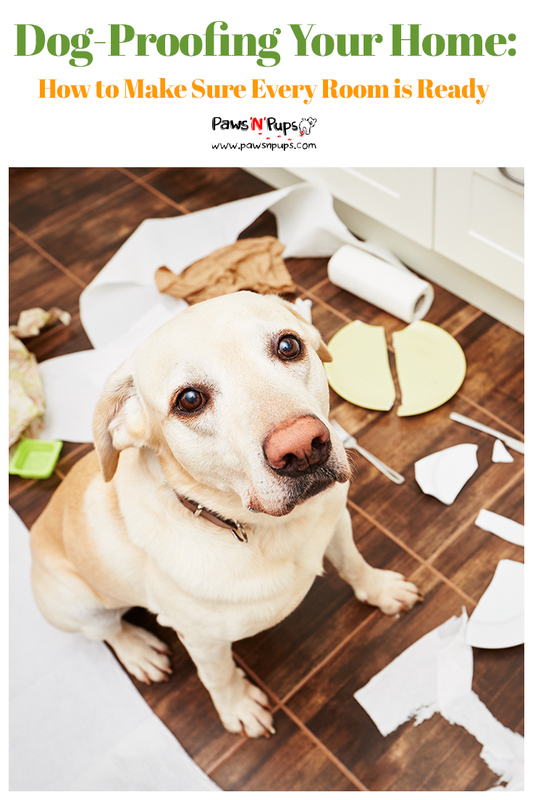 These products are not designed to be canine-friendly and have the potential to be toxic. If your dog has a decent coat of fur and has been medicated for ticks and fleas, sunscreen and bug spray won’t be necessary. Some dogs do however have exposed skin and may need protection from the sun. In this case, a product such as Epi-Pet is a great choice for dogs with sensitive skin. As for other products that get used during the summer, the best rule of thumb is to keep them out of mouth and out of reach. The ASPCA lists a few things that dog owners should watch out for: matches, lighter fluid, citronella candles, insect coils, tiki torch oil, and glow jewelry are all products that should be kept away from your dog. Many of these contain chemicals that are toxic to dogs – even matches! Some matches may contain chlorates that can potentially damage your dog’s blood cells. Many of these chemicals can also be a skin irritant and should be kept away from your dog in all instances. More pets get lost on the Fourth of July than any other day of the year. The New York Times states that animal shelters have their busiest day of the year on July 5th. Want to avoid being a part of that statistic? 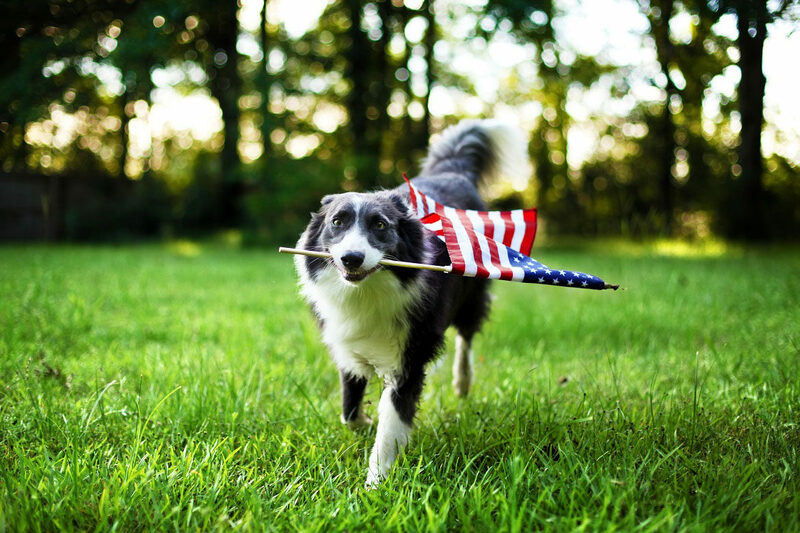 There are steps you can take to ensure your dog’s safety on Independence Day. Proper identification tags are crucial. Before the festivities begin, make sure your dog’s tags are up to date and attached to their collar. And keep that collar on at all times! Have your information printed on one of the tags in case your dog does get lost. The AVMA also recommends that dog owners consider getting their dog microchipped. Many microchips have saved lost dog’s lives, returning them to their owners much more quickly. Consult with your veterinarian about the procedure. A good fence makes an excellent defense. If you have a fence in your yard, check it for weak spots. Replace any parts that are broken or breaking. And check the base of the fence for holes. An anxious dog may dig under a fence in an attempt to escape a stressful situation, and any ready-made hole will only help in the escape. If you don’t have a fence, consider adding one to your yard. Or install a dog run so your dog can be on-leash at all times but still enjoy some freedom in the yard. All these safety tips should be paired with lots of love and affection for your dog. After all, it is a holiday! Take precautions so you both can play with peace of mind. Keep your dog’s happiness as a priority, and everyone will be sure to have a happy Fourth of July! The sun is out, the weather is warm, and it’s time to hit the trails! 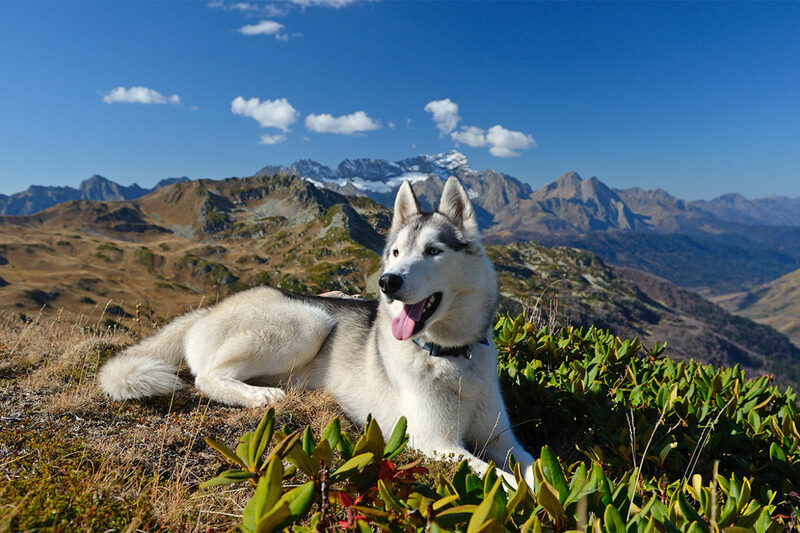 Hiking in the woods and the mountains is a fantastic way to exercise yourself, your dog, and to bond with your canine buddy. But there are always a few safety concerns when taking your dog out of their comfort zone and into the wild. Do you think your dog is ready? Check out these four tips before taking your dog for a hike. You don’t want to drive Fido two hours to your favorite mountain only to find out dogs aren’t allowed there. Check before you go! If you have a place in mind, do a quick internet search to find out if it is dog-friendly. Or if the internet doesn’t help you, give the organization a call! It’s much better to know beforehand rather than travel all the way to the hiking spot and hope for the best. If you are having trouble finding a trail, Hike With Your Dog is a great internet resource for finding local, dog-friendly trails. If you do find out that the hiking trail you had in mind isn’t dog-friendly, it’s not a good idea to ignore the rules. Many places will impose a fine if they discover someone has ignored the “No Dogs Allowed” rule. And it’s important to remember those laws are there for a reason. Maybe the area is residential. Perhaps it’s a nature preserve, where certain species could be in danger if introduced to dogs. Or it’s possible they simply want to keep the area clean! Dog poop is unsightly, can be a nuisance to clean, and does not compost well. The ingredients in many dog foods do not break down the same way wild animal poop does. This could be bad for the local environment, and is certainly not pleasant to look at! Always be respectful and seek out a dog-friendly hiking area. Your personal checklist might be a mile long, but what about your dog’s checklist? There are many things to consider bringing with you on a hike with your pup. The basics include water, a water dish, a doggie first aid kit, bags for dog waste, and a collar with up-to-date id tags. These items can be carried in your backpack, or a doggie backpack if your pup is used to it. For water, carry several water bottles and stop periodically for water breaks. A water dish like these collapsible styles are lightweight, sturdy, and easy to carry. A first aid kit should include hydrogen peroxide to clean wounds and medical gauze with tape to wrap wounds. Hydrogen peroxide works just as well on dogs as it does humans, but dogs should be careful not to ingest too much of it. It can make them throw up. If this is a concern for you and your dog, products such a Vetericyn are available specifically to clean animal wounds. Snake bite kits are also good to include if they are a problem in the area you are hiking. A dog first aid class may be something to consider before embarking on any serious hiking adventures. Pet first aid courses are available through the Red Cross. Before you embark on a weekend-long excursion in the mountains with your dog, it’s important to train your dog to be able to physically handle it. Similar to training for a marathon, you don’t want to throw your dog into something they are not physically ready for. Check with your vet first if you are unsure of your dog’s physical condition. If you know your dog is in good shape but don’t know how much they can handle, the best thing to do is ease into it. Start with flat trails for short periods. Gradually move up to longer hikes, steeper trails, and rougher terrain. Pay attention to how your dog handles these increases in “toughness.” How quickly do they tire out? Do they naturally move slowly and safely on rough terrain, or do they move at an unsafe pace? Only hike on trails that your dog is ready for. For an extra challenge, try using a doggie backpack! Backpacks add extra weight to your dog and can tire them out more quickly. Plus, it’s less for you to carry! In addition to terrain training, it’s important to be sure your dog has basic obedience and socialization skills. There is a good chance you will meet other people and other dogs on the trail. And there’s a better chance still that your dog will at least catch a whiff of a wild animal. Is your dog-friendly and calm around people and other canines? Will they go wild and forget their manners when faced with strange smells? These are things you will discover as you explore easy trails and work your way up towards bigger challenges. With or without training, the question of whether or not to leash your dog while hiking is always a tough one. It’s a beautiful thing to watch a dog frolic freely in the woods. But will they be safe? Perhaps your dog is very well-trained and well mannered. They come every time they are called and do not bother people, dogs, or animals on the trail. That’s wonderful! Feel free to carry the leash with you for emergencies only, and let your dog roam free. If your dog has not yet mastered coming to you when called, it would be a good idea to keep the leash on. This is for the safety of your dog, other dogs, wild animals, and even other hikers. A dog responding to commands consistently can be the difference between life and death in some situations. Besides that, it’s important to remember that not all hikers are there to spend time with a dog, even if it is a dog-friendly area. You may meet a fellow hiker who is scared of dogs, allergic, or simply annoyed by a dog’s presence. While you may disagree, this should be respected! If your dog has trouble keeping to themselves, keep your pup on a leash. When using a leash, make sure it is a solid, 6-foot leash. You should not use a retractable leash. It’s also a good idea to use a harness rather than hooking the leash to your dog’s collar. Worst case scenario, your dog falls from a cliff, and you need to pull them up using the leash. It’s much better to be pulling from a harness than pulling from a collar around their neck. This could cause severe neck injury. 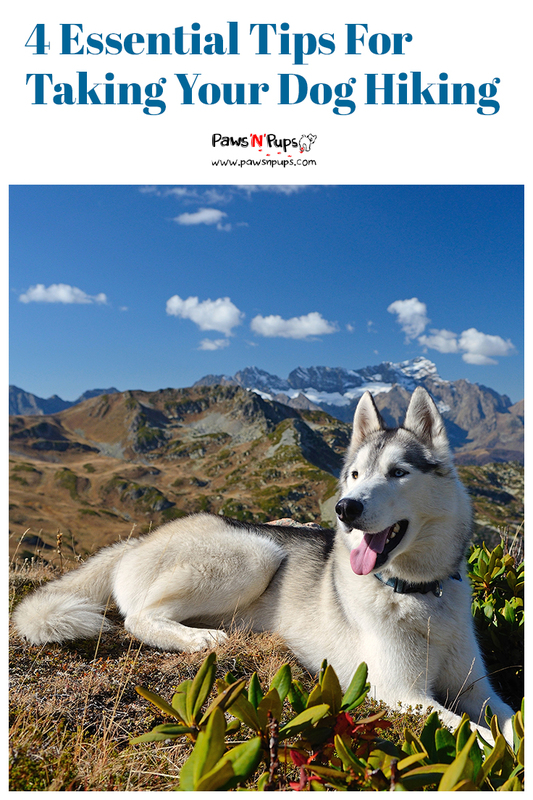 Do you have any favorite hikes with your dog? Any funny stories from a hike? We’d love to hear about it! The American Veterinary Medical Association is proud to say that as animal medicine continues to improve, pet’s lives continue to get longer. But this brings on brand new challenges for dog owners. You may have finally mastered puppy training, and gotten into good habits during your dog’s adult years, but caring for a senior dog can be a whole new ball game. On top of that, each dog ages differently and comes with their own set of potential health issues and ailments. 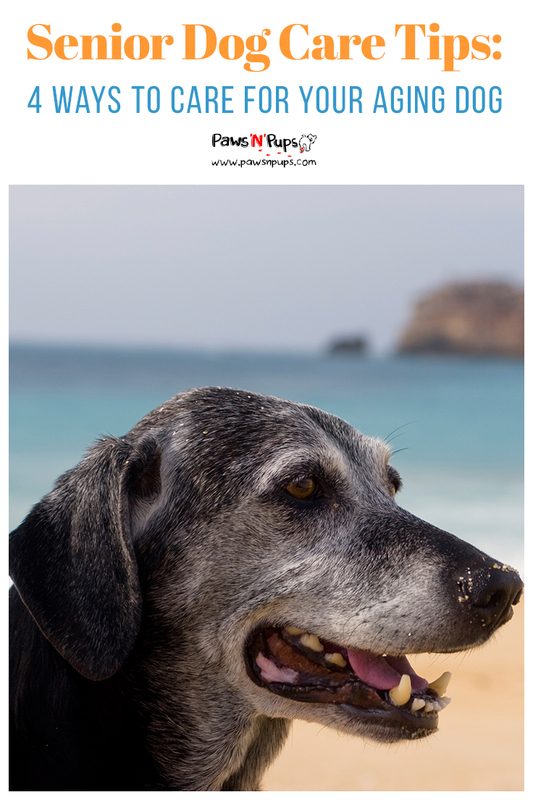 How can you make the canine aging process smooth for both of you? We’ve come up with 4 tips to keep in mind as your dog heads into their golden years. Your dog may not want to hear this, but as they age, they should be seeing the veterinarian more often. Annual vet visits are perfect for young and healthy dogs, but senior dogs may need to see the doctor twice a year. Talk to your veterinarian about when you should start increasing visits. Frequent visits to the vet provide an opportunity for early detection of any health problems your dog may be experiencing. The AVMA states that exams given to senior pets are often more in-depth than those given to younger dogs. Often these exams will include dental cleaning, blood work, and specific examinations that check for common diseases in older dogs. Many of the diseases that dogs develop in their old age are similar to diseases humans develop. Cancer, heart disease, kidney disease, liver disease, diabetes, joint disease, senility, and simple weakness are all common problems in aging dogs. If you suspect your dog may be suffering from any of these ailments, always consult your veterinarian first. Make an appointment, and have your dog checked out. 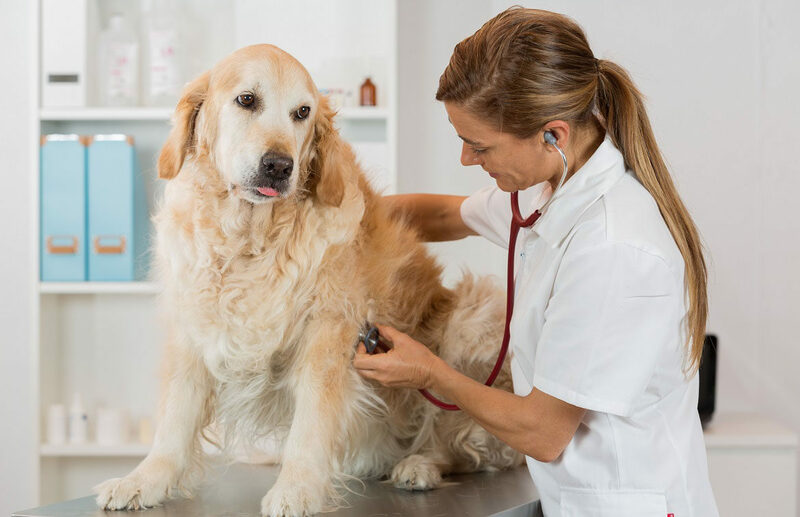 Your veterinarian will be able to make a proper diagnosis and provide you with the necessary canine-friendly medications. When humans feel unwell, we are able to vocally express our physical pains and ailments. Dogs are unable to communicate with us through verbal language, but they can tell us a lot through their behavior. As your dog ages, start to pay close attention to their daily behavior. Keep an eye out for abnormalities and differences. The AVMA lists several behavioral changes that owners of senior dogs should watch for, including disorientation, decreased interaction with humans, increased anxiety, and house soiling. If these or other behavioral changes are not consistent with your dog’s usual nature, it is wise to visit a veterinarian for a check-up. These behavioral differences can be subtle, so be sure to watch closely. Other more obvious behavioral changes include decreased appetite, increased thirst, vomiting, and physical weakness. These ailments also can be a sign of illness in your senior dog. Consult with your veterinarian if you are concerned by your dog’s behavior. It’s common for senior dogs to experience increased physical weakness or even to suffer from arthritis. 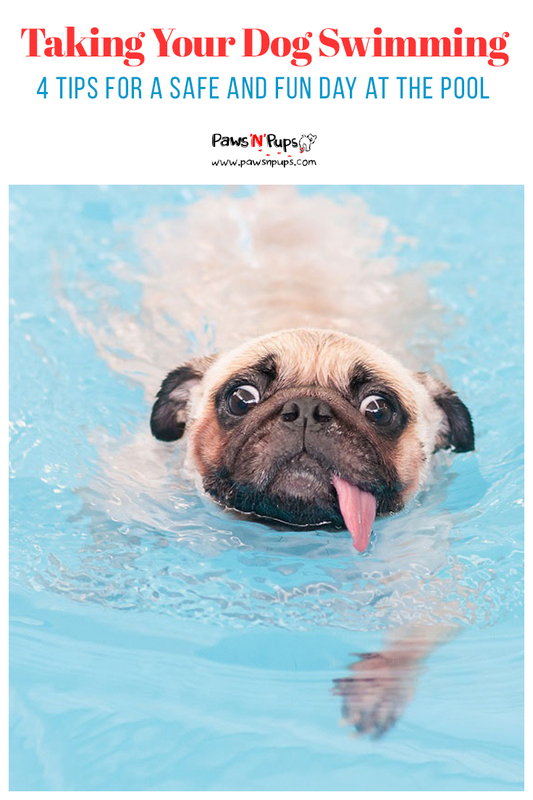 But one of the most important things you can do for your dog as they age is to maintain a moderate exercise routine. If you’ve exercised your dog regularly their whole life, you may start to notice them slowing down naturally with age. Pay attention to this, and decrease the level of activity for your pup. Perhaps you used to climb mountains together? Take flat walks in the woods instead. Were your walks with your dog over an hour long? Scale them back. Small changes like this allow your dog to maintain a healthy level of activity without overexerting themselves. In an article by NPR, Nicholas Dodman of the Cummings School of Veterinary Medicine recommends moderate exercise due to potential heart and lung deterioration. But the key to senior dog exercise is moderation. Dodman emphasizes that maintaining a healthy weight for your senior dog is important. Excess weight can put a strain on your dog’s already tired joints. Short walks, swimming, and rolling the ball during fetch instead of throwing are all great ways to moderate your dog’s activity. Just like senior humans, modifications to the home environment can make a huge difference in the quality of life for your senior dog. One major thing to stay aware of is temperature. Senior dogs become very sensitive to temperature extremes. It’s important to keep your home temperature in a comfortable state. You should also monitor your dog’s time spent outdoors. Too much exposure to the extreme cold and extreme heat can be harmful to a senior dog. Another factor to consider for your dog is general access to their basic needs. If your dog has trouble with their joints and general movement, make sure their water and food bowls are on the first floor. If your dog’s favorite couch or bed is too high for them to jump to, a small set of steps can be very helpful. You may want to also consider adding a ramp to the entrance of your home if the entryway stairs are steep. These modifications are similar to those we may provide for senior humans. Talk to your veterinarian if your dog is having specific difficulties. Remember, aging is as much a part of life for dogs as it is for people. The best thing you can do for your friend is to embrace the process. You know your dog best. Make them as happy and comfortable as they can be in their old age. And continue to enjoy the journey. You want to be the best dog owner you can be. But sometimes you don’t always have time to take your dog for a long hike or on a day trip to the dog beach. It can be tough – especially with high energy dogs – to keep up with your furry friend. Here are 5 quick and easy ways you can exercise your dog, and still fit everything else into your busy schedule. If you don’t have time to go for a long walk, this is probably the first trick up your sleeve. And with good reason! This activity gets your dog moving without a lot of effort on your part. Plus it’s a great opportunity to bond with your dog. A lot of dogs take to playing fetch very naturally. But what if your dog shows no interest? Or maybe your dog loves to fetch the ball but isn’t so great at bringing it back. 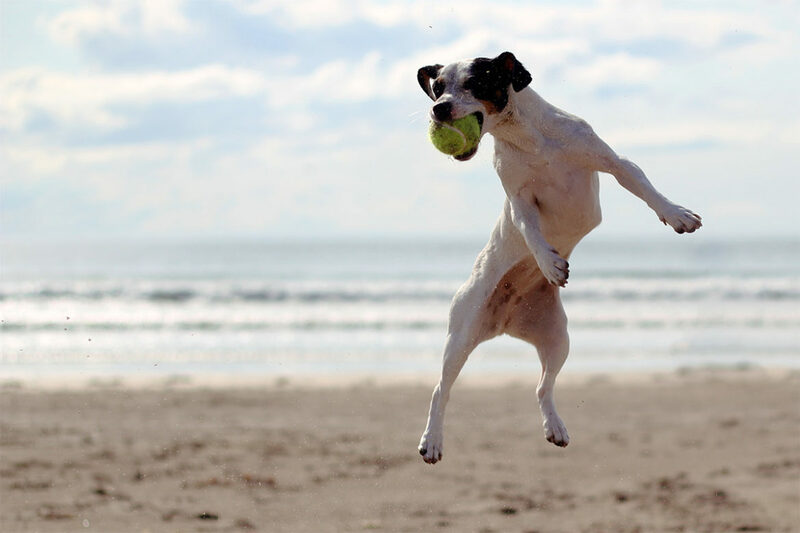 The AKC has a few recommendations on how you can teach your dog to fetch. The goal when teaching your dog to enjoy playing fetch is showing them that interacting with their toy will be rewarding and fun for them. The best way to do this is to use their favorite treats. When working with your dog to teach them fetch, work slowly and patiently. Start by rewarding your dog even when they simply look at their favorite toy. Then work your way up to physical interactions with the toy, continuing to reward your dog with food. Eventually, you can do this exercise with a variety of different toys. Soon your dog will learn that it’s not about the reward they get from one toy, but the reward they get when playing with you! This foundation of teaching your dog to have fun with you, not just the toy, is the basis of also getting your dog to return the toy to you. Follow the guidelines the AKC lays out, and you and your dog will be fetching like old pros in no time. Some days you can’t even be bothered to leave the house. Maybe you had to take a sick day today. Maybe the weather is just too darn miserable for you and your dog to go out for more than a bathroom break. Whatever the reason, try using a toy almost all of us already have available – stairs! Remember those fetch skills you and your dog learned? Put them to good use! Stand at the top of the stairs with your dog and their favorite toy. Throw the toy to the bottom of the stairs and let your dog run down to retrieve it. Then, call them back! Your dog will have to run back up the stairs to bring the toy back to you. Repeat this only a few times, and your dog will be twice as tired as they would be after a regular fetch game. This method of exercise is so effective, even Cesar Millan recommends it! But maybe your dog isn’t so great at fetch yet. Not to worry! Playing on the stairs can be a great way to tire your dog out and practice their tricks and skills. Try practicing your dog’s recall skills using the staircase. Tell your dog to stay at the bottom of the stairs. Walk to the top and wait – making sure your dog waits at the bottom! When you are at the top of the stairs, call your dog to come to you. They will have to run up the stairs to obey. Repeat this training exercise a few times to tire your dog out and sharpen their skills! This cool toy is not quite what it sounds like. So don’t click away yet! We promise you, a flirt pole is a real dog toy – and a great one too! a flirt pole consist of a stick that the owner holds, a string hanging off the end of that stick, and a toy attached to the end of the string. Although it may sound like an enlarged cat toy, dogs go crazy for it. See for yourself the styles that they come in. The goal of the flirt pole is to wave the toy that is attached to a string in front of your dog and encourage them to chase it. The idea is that you are teasing your dog with the toy (Get it? Flirt? ), and your dog will get excited and want to chase it. But don’t let them catch it! If your dog never catches the toy, you can spend lots of time – indoors or out – tiring your dog out with this simple game of keep away. A flirt pole taps into that same instinct that many dogs have to chase a ball, with the added fun of never being able to catch it. We recommend trying this game in an outdoor space before testing it indoors. Some dogs go pretty wild for this game, and may knock a few things over! It’s a good idea to see how your dog reacts to it in a safe and open environment before introducing new elements. This is a fantastic game to play on a hot summer day. And all you need is a clean spray bottle and clean water! Now some dogs get a bit nervous around a spray bottle, so this may not be for every pup out there. But many dogs absolutely love trying to catch the spray of water that comes from the bottle. Additionally, this is a great way to keep your dog cool on long, hot summer days. To find out if your dog will like the spray bottle game, start small. Spray a bit of water to the side of your dog to see how they react. Don’t spray directly at them yet! This could scare them away from the game. Watch your dog’s response to the water as it passes next to them. If they appear curious, you can go a little further. Spray a bit of water near your dog’s mouth to see if they will try to catch it. Be sure to aim low! You don’t want to accidentally get the water in your dog’s eyes, as this could also turn your dog off to the game. Give it a few tries and watch how your dog reacts. They may try to catch the water right away, or they may be a bit confused by it at first. 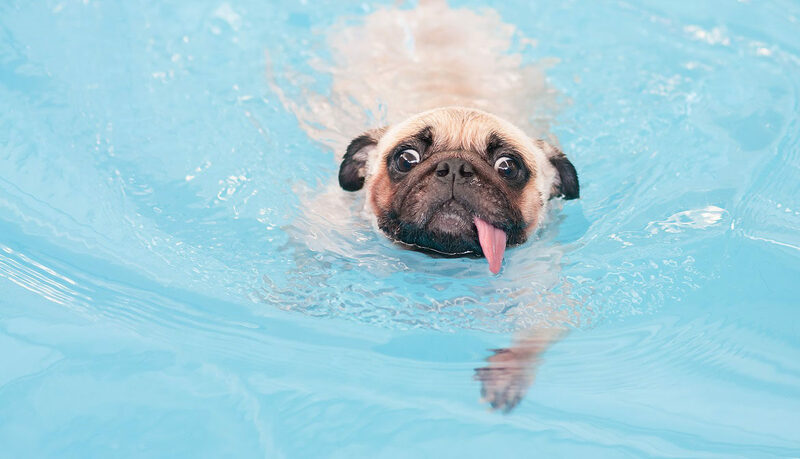 If your dog seems to be getting nervous and tries to move away from the water, don’t push it! You don’t want to scare your dog or make them nervous. If your dog loves the water spray and is having a great time trying to catch it, now is your chance to play with where you spray the water. Spray far away and get your dog to run to catch it. 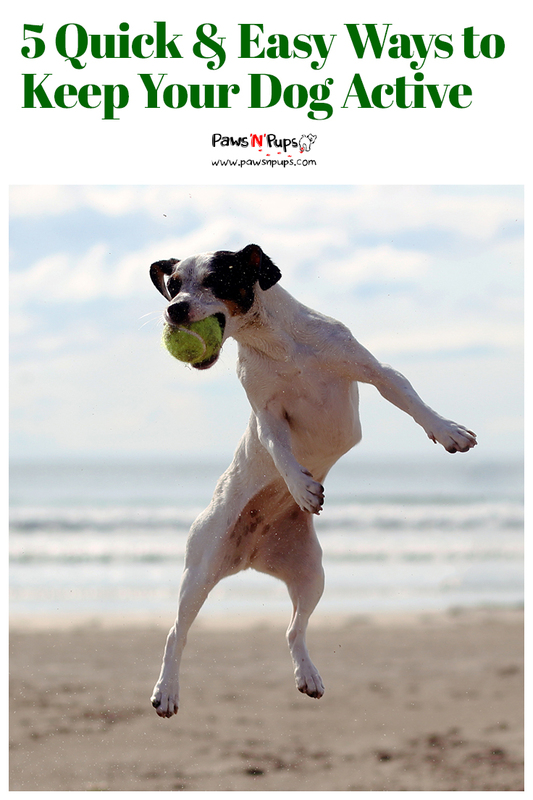 Spray up in the air to encourage your dog to jump up. Have fun with it! This game is great for your dog and hilarious for you. Just in time for summer! Similar to the water spray, dogs will love to chase and catch the bubbles as they gently float to the ground! This is also a great alternative for a dog who is nervous around the spray bottle. Bubbles are slower and more gentle. Any dog can play! Supplies for this game are pretty simple: any bottle of children’s bubbles will do. If you like, you can buy you and your dog a bubble machine for extra fun! But you may find that your dog doesn’t like the taste of soap. Lucky for you, there are alternatives for the concerned pet owner. Buy some dog-friendly bubbles! (Honestly, what will they think of next?) These specially formulated bubbles are designed with your pup in mind. They are 100% non-toxic and are safe for both dogs and children, so your kids can play with the family dog too! And we almost forgot: they are flavored! These bubbles are actually made to smell like bacon. You’re welcome. Have any other ideas for exercising your dog when you’re crunched for time? Share them with us! We’d love to know how you and your dog spend quality time. Admit it: you love it when people compliment you on how cute your dog is. You’d like your dog to be the cutest dog in the neighborhood. So how can you keep them looking fresh? The number one way to keep your dog looking in tip-top shape is to care for their coat. Fur is one of the first things people notice when admiring a dog – and it’s what everyone loves to pet! Here are four ways to keep your dog’s fur looking sharp. Your dog has a smooth, short coat – This type of fur should be brushed once a week with a rubber-bristled comb. Rubber bristles are all it takes to get dead fur and dirt off of your dog’s short coat. The rubber is also more gentle on skin that might be close to the bristles or fully exposed. Look for a grooming glove that has bristles on one side and a polishing cloth on the other. Polishing your dog’s fur will give it that sleek look and extra shine! Your dog has a short, dense coat – Regular brushing should be done once a week to prevent tangles and remove dead fur. Since the hair is thicker, the ASPCA recommends using two different styles of brush. Start with a slicker-style brush to detangle any knots. Finish off with a bristle brush to remove the dead hair. During shedding season, use a rake-style brush to pull out the excess hair that is falling out. Your dog has a long silky coat – Fur like this can get tangled very easily. This will require daily brushing using a slicker brush to remove any tangles. Finishing off with a bristle brush helps to smooth out the coat and remove any dead hairs. Your dog has a wiry coat – Even fur that doesn’t shed requires some TLC. If your dog’s coat is short, brush once or twice a week with a bristle brush to maintain smoothness. If your dog’s coat is longer and prone to tangles, brush with a slicker brush to remove knots. Finish off with a bristle brush to smooth the hair. No matter what kind of fur your dog has, we recommend that you always comb your dog with a fine-tooth brush or comb after an outdoor adventure. This will not only remove any loose dirt but also will help you catch ticks early, before they can cause any problems. Unless your pet is getting very dirty regularly, the ASPCA recommends bathing your dog only once every three months. Excessive bathing can remove all the wonderful, natural oils your dog’s skin produces. These oils make your dog’s fur look healthy and shiny. No need to wash those away! There are about as many kinds of shampoos as there are dogs, so it’s up to you to shop around and find one you like! Never use human shampoo on a dog, however. Some human shampoos may contain chemicals or fragrances that could irritate a dog’s skin and cause a rash. It’s always best to use a shampoo that is specially formulated for dogs. Ask your vet for a recommendation that best suits your dog. Before a bath, it’s always a good idea to brush away any excess fur and get rid of any knots. Once only the healthy fur remains, use lukewarm water to wet your dog from head to toe. Be careful not to get any water in their eyes, ears, and nose! Massage the shampoo into your dog’s fur slowly and gently, similar to your own hair. Rinse your dog thoroughly, and towel dry by patting them down. Now step back before your dog shakes that water off! Eating? That’s right! Good food makes a huge difference in the appearance of your dog’s coat. If you are feeding your dog food made with poor quality ingredients, it will show in their fur and skin. So what should your dog be eating? First, it is best to look for dog food that is corn and wheat free. Corn and wheat are often used as filler ingredients in dog foods, and don’t add any nutritional benefits for your dog. Also, it is not uncommon for dogs to have an intolerance to wheat and other grains. This intolerance can cause the oils in your dog’s skin to dry out, affecting the healthiness of their coat. The second ingredient you should look for is salmon. The omega-3s in salmon and other fish ingredients are fantastic for your dog’s skin and coat. They encourage the production of those wonderful, natural oils on your dog’s skin, making their coat shiny and healthy. But maybe your dog doesn’t like salmon! Not to worry. There are plenty of other great foods you can feed your pup that will encourage a healthy coat. Any high-quality dog food will do wonders. Dog Food Advisor is a fantastic resource that rates all the dog foods under the sun. Check out their favorite dry foods, wet foods, and even raw foods! The higher the rating, the better quality food you will be feeding your dog. Not every dog is going to need a haircut. Your dog might have sleek, short fur that never grows long at all! For those kinds of dogs, a haircut is not necessary. Some people also choose to give their long-haired dogs a summer haircut for comfort in the hot weather. It is important to find a reputable groomer in your area who can cut the fur evenly so that it grows back nicely. Since dogs with long fur do shed in the summer, it is not necessary to get the haircut, but can provide comfort for your dog. And make fur clean up a little easier for you! Keeping a regular coat-grooming schedule for your dog is important for a dog’s health and overall appearance. Grooming can also be a great time to bond with your dog too! Always remember to be gentle and move slowly if introducing something new. And don’t forget to have a little fun!